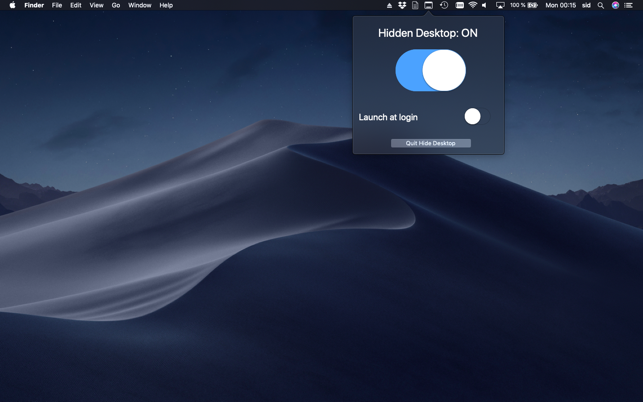 This application can hide your desktop to avoid an unwanted use of your computer. 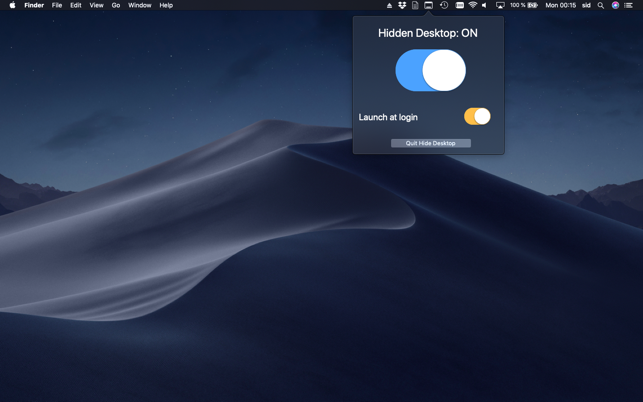 Switch on/off to hide or show your desktop, this application lives in the status bar to reduce the space on screen, you can hide the icons of all screen spaces. 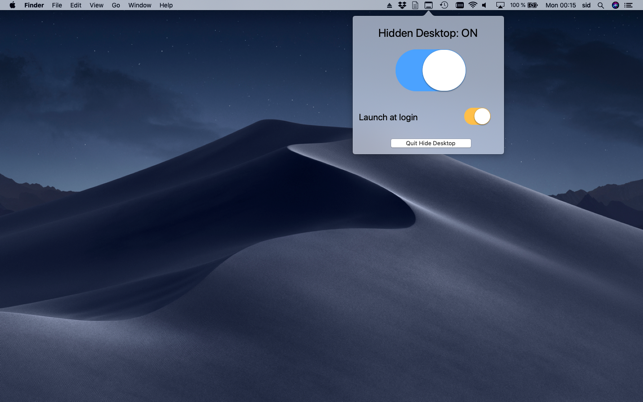 Set it on startup with a single click to control your desktop with another single click. This application has been designed to perform easily with very simple point and click actions. Use the Finder extension to hide your desktop at any time, enable it in System Preferences -> Extensions ->Finder.